This is the speech I shall be giving in a couple of weeks time at a sixth form college. For some reason I have always wanted to be a writer. When I was a kid I would write whenever the opportunity arose. Blank paper and notebooks used to fill me with a strange excitement as if I could just reach out and touch the stories that hadn’t come into existence yet. They seemed imbued with the promise of a thousand possible plot developments, characteristics, humour and high jinx, whimsy and rhyme. I would walk to school hoping that it would rain at lunchtime so that I could stay in the classroom and write on scrap paper instead of running around the playground and playing ‘It’ or whatever the hell it was we used to do. To this day I still love it when it rains because it reminds me of those days. The rain brings people down to my level. As I grew up I found myself with less time for writing. But I did a lot of reading. Where friends watched football and sports and would know everything about what I believe they call the ‘FA Cup’, I followed the Booker Prize, the Nobel Prize for Literature, the Best Seller lists, the Culture Show, the weekend book reviews. Instead of Keegan, Wayne Rooney and David Beckmann, I had Franz Kafka, Albert Camus, Marcel Proust. These were my heroes. I’d write emulating their style and I’d hope that someone might read it and say that I was just as good as them. My writing was rubbish. And my school friends would laugh because I didn’t know who was leading the ‘FA Cup’. And then modern life intervened, like a rhinoceros poking through the bins out the back of Lidls. GCSEs, A-levels, exams, my first job in Sainsbury’s, falling in love, all the usual things. Powerboat racing. Haberdashery. Eventually I had a full time job and I was an adult, and then I decided to do Open University in the evenings while working during the day time. My writing suffered, as you can tell from this paragraph. And instead of writing to write novels and epics and modernist classics, I found myself writing short stories, plays and poems. Looking back now it’s a wonder I found the time even to do these. 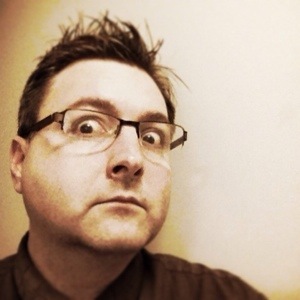 I had a bit of moderate success when a couple of short stories were published in a magazine. I was so happy that I wrote to the editor to thank him for taking a chance on an unknown twenty-three year old. He wrote back to say that he was seventeen. A few years later, a play I wrote called ‘Fuselage’ won a competition and excerpts from it were put on over two nights at the Northcott Theatre in Exeter by a professional cast, one of whom had been in Doctor Who. Things were looking up. And then the Northcott went bankrupt and fired everyone I’d been working with. I’m still not sure if the two events were connected! ‘Fuselage’ is in a drawer at home, at the moment. In late 2010 I decided I needed to get out more and see some culture in my local area. By this time I was doing an MA in Museum Management and my brain was becoming frazzled. I wasn’t even sure I wanted to manage a museum as a job, but I concluded that I’d better finish what I’d started. To distract myself, I went to a night of performance poetry hosted by a comedian poet by the name of Chris Brooks, and I thoroughly enjoyed what I saw. It seemed to speak to me, and the audience was engaged, supportive, appreciative. I’d never heard of performance poetry before, but I could see that it was a cross between comedy and poetry, and I thought, ‘I want to have a go at this’. Chris Brooks took a chance on and offered me a slot at the next evening. Feeling incredibly nervous, I went along a performed a couple of silly poems I’d written, and to my surprise the audience liked it, and so did Chris. They laughed in all the right places and clapped at the end. Nobody booed and nobody threw anything, and the one person who did walk out had only gone to the toilet. Chris invited me along to the next night, and then every night thereafter. From this point, things built up steadily. 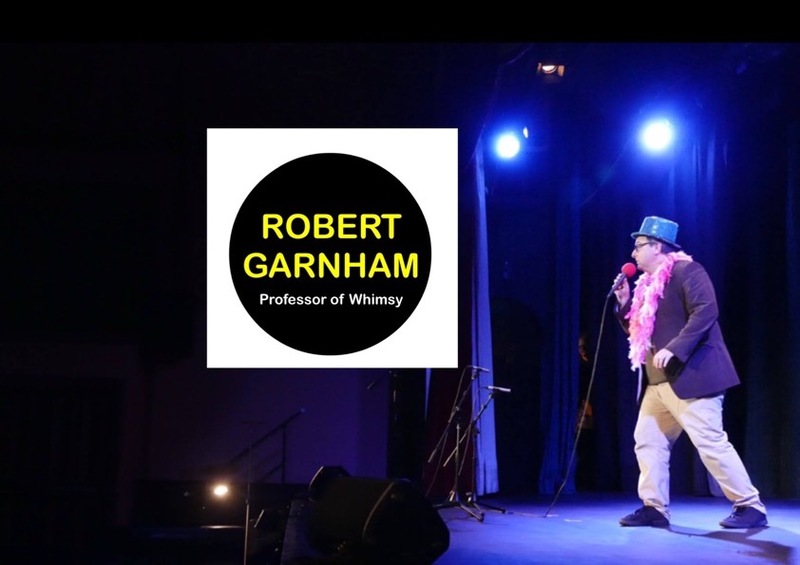 I studied the craft of performance poetry – or ‘spoken word’, as some like to call it – and quickly deduced who the best ones were. There were the obvious choices, like John Hegley, Matt Harvey, John Cooper Clarke, and yes, Pam Ayres. These were the big names, with radio and TV exposure, legions of fans and each with well-crafted and rehearsed poems, polished rhymes, a certain rapport with their audiences. And then there were others, just as good if not better, like Byron Vincent, Rob Auton, Ash Dickinson, Liv Torc, Thommie Gillow, Nathan Filer. These were the people I was completely in awe of. Big names from the spoken word circuit would come down to Torquay and I’d start to find myself invited to other places to perform. When Liv Torc, the Bard of Exeter at the time, invited me to her evening in Exeter, I felt like Wayne Rooney when he scored that thing he did for that team he plays for in the FA Cup Championship. Rachel Pantechnicon so liked my oeuvre that he invited me to London, offering me my first paid gig as a performance poet. And since then I have slowly built up a little bit of a reputation as poet of interest, performing regularly in London and various other places. The fact I get paid for it is still, for me, deeply surprising. The other thing I’ve done of late is to start entering slams. Poetry slams are competitions in which the poet and their performance are judged by the audience. I was fortunate enough to win the Exeter Poetry Slam in 2012, and I came second at the Bristol Poetry Slam in 2013. I also came 22nd in the Cheltenham Slam, but I don’t talk about that one. My favourite slam was in Berlin, where I came fourth, even though I was the only one in English, and I couldn’t understand a word that anyone was saying. So. How do I write? To write, I have to be in a certain frame of mind. Sometimes this frame of mind comes easily, and I can just sit down and go for it. Sometimes it doesn’t. I might be distracted by small things, like whether or not the freezer needs defrosting, or whether or not to do a selfie and put it on Instagram, or why on earth it is that people like Eammon Holmes. So I have to get myself in the mood for writing. The best method is to get a piece of paper and just write anything. It can be a poem, or a paragraph, or some lines about nothing in particular, anything just to get the ink flowing and the mind conditioned. It’s kind of like swimming in the sea. You just have to plunge in and get used to it. Once you’ve got over the psychological barrier, then you’re free to go. It’s good to have a specific place to write. I have an old-fashioned desk in my flat which is great for note taking and rough outlines, but there are too many distractions, like books, the TV, the freezer as it defrosts, and how many people have liked the selfie I put on Instagram. If you’re good at ignoring such distractions, then that’s half the battle won. The best place I have for writing is at my parent’s house. They have a room at the back of their garage which is totally shut off from the rest of the world and far enough from their house so as not to hear them arguing about dinner. There’s no TV or Facebook or Family Guy or whatever it is that young people watch these days. The only distraction is the tumble dryer, the rhythm of which, I find, actually helps with poetry. I always write in pen first. I’ve used the same pen since 1995 for everything I’ve written. I write everything in hand first, then type it up. I’m writing this right now in long hand using the 1995 pen. This very sentence. This very word. And the full stop at the end of this sentence. Some people can just type straight away, and there’s nothing wrong with that. I was chatting to a poet the other day who uses a voice recognition computer program and just speaks his poems right on to the screen. Maybe this is something I’d like to try one day, but I’d probably get a sneezing fit halfway through. Which would be very interesting. The other thing I do is to read. I read all the modern poets, particularly those in the performance poetry community. I watch poets on YouTube and I go to poetry nights, usually with a notebook to make notes on what I see. I read as much as I possibly can for inspiration, and I take the poems I really like apart just to see how the poet gets a certain effect. I also get inspiration from other places, like music. I love pop music. The use of words in pop music is both economical and pure. Take for example The Wanted’s ‘Walks Like Rhianna’, or a song by One Direction. No matter what you think of the bands, the lyrics do a really good job of creating an impression quickly, efficiently. Finally, I take my notebook everywhere. It’s amazing where inspiration comes from. Just listening to people, or seeing things happen and the way people act, may result I a certain line or idea coming into your head. I’ve filled in so many notebooks with lines and snippets of conversation that it’s fun to read back every now and then. Of course, sometimes ideas come at the worst of places. I do a lot of swimming, and that’s when ideas seem to come. So to top it all off, if I had one piece of advice for any writer, it is to read a lot, see a lot, write a lot. Read books, read the classics, look at the world, look at both high and low culture, literature and pop, listen to people, but most of all, write! Well I’ve had a great week as a poet, doing all kinds of poety things in front of other poets and audiences and travelling the breadth of the country from Devon to Guildford to London. And last night at the Roebuck was definitely a highlight! Bang Said the Gun is, quite simply, the finest poetry evening in the country, not including the wonderful Poetry Island in Torquay, ( which has the best host). And last night was no exception. The raucous noise and energy was infectious and seemed to build to a mighty crescendo before a verse had even been uttered. But tonight was special. There were more people crammed into that room than I had ever seen there before, and everyone was in amazingly high spirits. The host, Jack Rooke, was amazing and as full of energy as any I’d seen. A highlight for me was seeing the sublimely wonderful Rob Auton in action. In my belief he is one of the funniest poets in the country, and the fact that he looks almost exactly the same as a friend of mine, even down to the facial expressions, makes it all the more sublime. Anthony Anaxagorou was word perfect, poignant and personable. But for many the highlight of the evening was Emma Jones. Not only was she funny, energetic and entertaining, but she ended her last poem by proposing to her partner. The place just went wild! There was cheering, yelling, stamping, champagne, the most heartfelt applause I’d ever seen. It was all I could do not to start blubbing. A really special moment which I was so glad to have witnessed. And then came the open mic section, of which I was on first. How can I possibly follow on from a marriage proposal? Well, I did ‘Fozzie’ and it seemed to go down really well, even though I had to edit it down to two minutes in order to fit in with the slam requirements. The competition element was won by a singer / guitarist, who was very good indeed. Caught the tube back to my hotel in Central London. And I found myself in a lift down to the platform level at Borough tube station with some poetry fans who all liked what I’d done and were saying such nice things that I wished I could have taped their remarks. It’s back to work on Monday. Back to the day job. But it’s been a good week doing all this poeting. 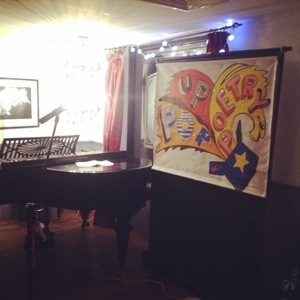 Last night I went to Pop Up Poetry in Guildford. It’s the closest spoken word event to where my sister lives in Woking and it’s the closest to where I grew up in Surrey. For these reasons it always feels like coming home . Not that South Devon doesn’t feel like home. Most if my friends live in Devon but in my heart I am a Surreyer. Or whatever you call someone from Surrey. Reaching out towards London, fingertips quivering. So it’s always with strange emotions that I revisit my old home area particularly that I had no interest in spoken word or poetry when I moved to Devon. And now, every time I come back, well, there’s actually something I’m good at! So on a psychological level, performing in Surrey is very important to me. And what a wonderful night Pop Up Poetry is! Donall is a magnificent host full of energy and humour, he bounds around like a teenager and interacts with the poets, while Janice provides support and administrative duties. Between them they have cultivated an atmosphere of acceptance and creativity. One of the joys of performing somewhere far from my normal area is that I get to see new poets and styles and there were plenty of fantastic poets. I was particularly taken by a young man in a trendy hat who did a fantastic slam poem taking Alice Through the looking glass as his inspiration. There were also a couple of poets who had only just started performing and they were both of a very high standard, and very funny, too. It was also great to catch up with Rodney Wood, we met before the show started and spent an hour or so chatting about poetry and poets we’d seen and inspiration and stuff. So if you’re ever in the Guildford area and you fancy some poetry, get down to the Bar des Arts next to the River Wey. Well I had another one of those poetry adventures at the weekend. For weeks I’d been excited about the prospect of entering the Wolverhampton Love Slam, but when the day arrived there was, of course, consternation over the state of the railway and the sudden realisation that it would take a while to get there. Which it did. Bus, coach, coach, coach, train and train. It took about eight hours to get from Paignton to Wolverhampton. Not that I’m complaining, others have had it much worse of late. Many people were surprised when I announced on Facebook that I liked Wolverhampton. The people all seemed nice and the town while somewhat smaller than I thought, had a great vibe to it. I had a poke around the museum. The slam itself was typically well organised by Sarah Jane and Marcus. I was the first poet of the second batch and my classic ‘Fozzie’ was very well received, and while I didn’t win my group, my score of 254 was higher than any of those who performed before me, and stayed the highest runner up right to the end, when someone else got a 255. Damn! But as luck would have it, I was allowed into the next round. I did The Straight poem next. And it was also very well received. Mindful that some of the score goes to performance, I really went for it, and managed to score a 259. Alas it was not good enough for the final, but I was very happy with my performance. Met some lovely new people, such as Richard Tyrone Jones and Dominic Berry, and to catch up with Johnny Fluffypunk, Nick Lovell and Dave Viney. We all went for a quick drink afterwards, and all the time I could only think, ‘Wow, here I am out for a drink with Johnny Fluffypunk, Dave Viney, Richard Tyrone Jones and Dominic Berry’. And then on the way out I was accosted by first one and then another table of people who had been in the slam audience and wanted to chat about my poems. Oh yes, it was a good night! The day after was even stranger. A set of trains and buses brought me to Exeter where I appeared on Martin and Karen’s Listen out show on Phonic FM. I had a great time, did a few poems and chose some music by A-ha and Pet Shop Boys. But then, catching the rail replacement coach to Paignton, I found myself on oove Sky News, sitting on a seat and gently crouching down as not to be seen. And as if that wasn’t weird enough, one of my Tweets was put on the BBC News website! So it was a busy weekend, with lots of fun and some marvellous people. Can’t wait for my next poetry adventure now. Indeed, I’m off to London next week!